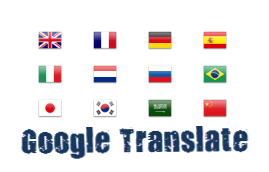 Google translate is a free statistical machine which is google branded app, that is provided by google Inc. with this machine, you can convert a written text or voice speecch to different language across the countries. This app offers mobile interface like the Android OS, and iOS, it’s even present in most extensions of browser and also offered as various softwares. The translator is avaliable on browsers like the mozilla firefox and chrome browser as extension, and this help in the automatic Google translate of unknown language to your prefared lauguage that is registered on Google translate. The Google translate is also avaliable on android as an android software. With the software, you can easily Google translate to upto 80 languages. The Google translate app which is avaliable for android also acquire other cool features, which includes, translating voice text and pictures. The Google translate app doesn’t need any form of internet connection for android devices, that is, you can even Google translate to your voice or text speech with no required internet connection, and you can also save your already Google translated language from any device. The Google translate app is also avaliable on iOS devices with pretty cool features. Like the android devices, it can also Google translate voice text, or text to any registered language in the Google translate system, and one good thing about this app is that it helps to Google translate over 50 language across the nations. · It could easily be used for fraud and leads to cheating of foreign classes. Hope you have the Google translate app already installed on your device? Or the extension already pluged in your browser? Because with this great app/system, you stand a chance of knowing plethora languages, depending on the ones you wish to learn.